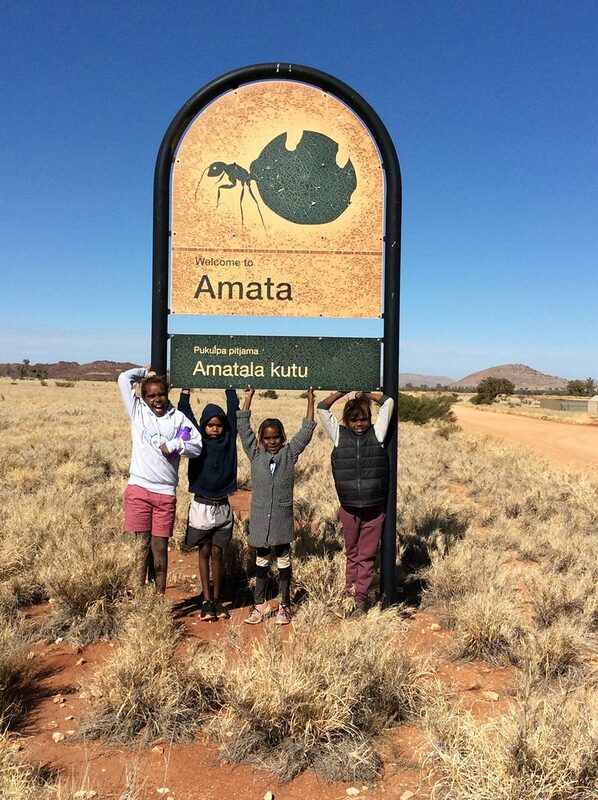 Amata Aṉangu School is one of nine Aṉangu schools situated in the far northwest corner of South Australia in the Pitjantjatjara Yankunytjatjara Lands. The Amata community is in the western Musgrave Ranges, west of the Stuart Highway, it is situated approximately 500 kilometres south west of Alice Springs and just south of the Northern Territory border. Amata is approximately 1400 km by road from Adelaide, including 200 km on unsealed roads. The Amata community consists of about 350 people. It has a general store, a clinic and a world famous art centre.